I came across this photo of a group of Chinese people exercising with wands in Three Gorges area on the Yangtze River in China. The wands are colourfully decorated and look about four foot long. (Click on images to enlarge). Just a few years ago many Chinese martial artists and Chinese health arts practitioners thought that all the big discoveries of China’s cultural heritage had been made. 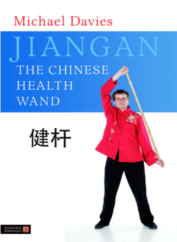 So when I wrote my book `Jiangan – the Chinese Health Wand‘ it raised a few eyebrows in the Chinese Health arts community. Thanks to the work of Bruce Johnson the wand exercises had been practiced all over the world for a few decades but the art was still an `outsider’ as far as Tai Chi / Qigong community were concerned. There was a consensus among some of my fellow Tai Chi instructors that since the only known living master was not Chinese but a Westerner (Bruce Johnson) the art should not be accepted as being part of Chinese culture. One instructor even spread absurd accusations that I had made up the wand exercises myself and Bruce Johnson was a figment of my imagination! Even when the critics were made aware of Bruce Johnson’s 1977 book some claimed that there was no evidence of a Chinese exercise art using a pole, and that the only poles / staff used in Chinese arts were for martial uses. But the critics had underestimated the variety of styles within the Chinese health arts. After the discovery of wand-like exercises in the `Dao Yin Tu’ unearthed in the Mawangdui Han Tomb, Changsha City, a new Qigong routine was devised by the Chinese Health Qigong Association called the Taiji Stick Health Preservation Exercises (see video below). This form uses the same length wand as Bruce Johnson insisted was the correct length for an average person – about four-feet! 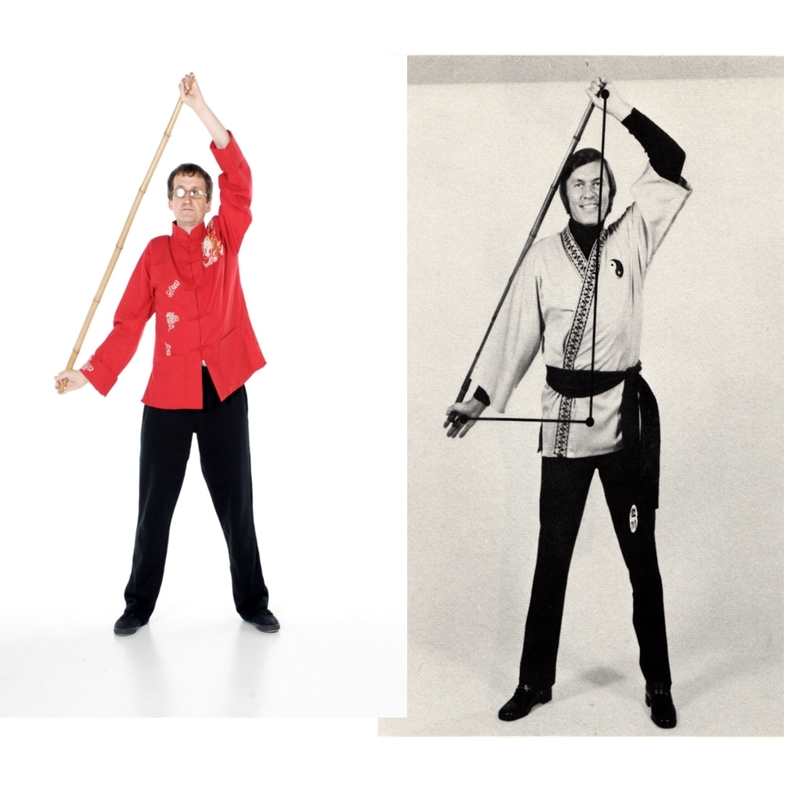 Although the Association started from scratch and came up with techniques that are influenced by modern Qigong and Tai Chi forms, the use of the same length wand is significant. Research into wands used in China is only just beginning. There is a Taoist connection with the Wudan area of China. The staff used in the `Wudan Short Staff’ is a form of martial art but it is also about four-feet long. 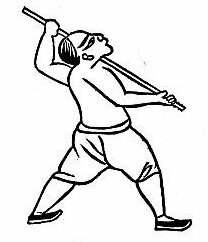 The next Youtube video below shows a Taoist monk performing the Wudan Short Staff form with a bamboo wand. Practitioners of the whip staff, which can be as short as three-feet, also use a wand of about four-foot length for their Tai Chi wand form (`Biangan‘).